Do You Deer Hunt In Mountainous Terrain? I believe those who hunt big-timber, mountain bucks are probably some of the best-skilled whitetail hunters in the country. It has long been my opinion that if you can consistently kill mature bucks in a big-woods setting you can kill them anywhere. If you’re serious about working the mountain buck puzzle, then pay strict attention to the following details. If you want a humbling experience, try playing cat and mouse with a mountain buck sometime. It will undoubtedly bring you down a notch or two. It does me. Even after close to 30 years of trying I am still humbled every season in one way or another. This has led me to grow some pretty thick skin. Especially when it comes to comparing the amount of deer I see to the guys that hunt in a flatter, more agricultural setting. You have to understand that while you may not see a single deer, that doesn’t necessarily mean there aren’t any nearby. Part of the problem is visibility. Glassing bucks from afar just doesn’t happen very often in steep, rugged terrain. In fact, most of the bucks I spot are within 50 yards (often times much closer) when they first come into view. That means, deer can easily pass by my position and I would be none the wiser. This can also lead one to think that the area simply isn’t good or that their hunting skills aren’t what they should be. To combat this punch to the ego, I make sure I have a plenty of evidence to prove otherwise. For starters, I run plenty of game cameras. This lets me know if deer are in the area or not. And, if so, knowing that gives me “staying” power when I’m stuck in my treestand and movement is slow. There have been plenty of times that I’ve sat for hours without a single deer sighting only to arrow a mature mountain buck. Had I not known that deer (or a particular buck) were in the area, I might have climbed down and ruined my chances of success. In addition to limited visibility, deer numbers are going to run lower than other places in the country. When you combine these two variables it’s easy to see how frustrating it can be just trying to find deer; not to mention a shooter buck. 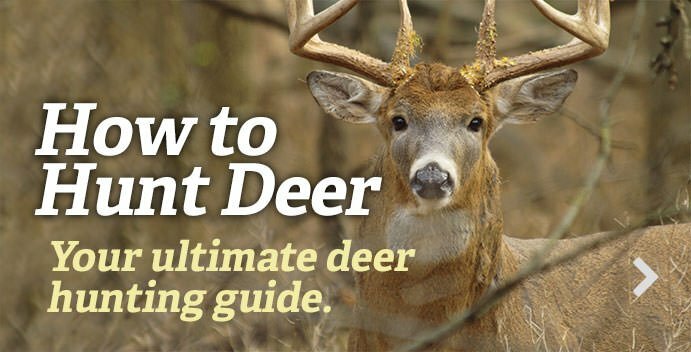 While we are on the subject of ego’s and questioning ones hunting ability, I think it is vital to point out what I consider one of the most detrimental influences on a mountain buck hunter. I believe comparing oneself to what is portrayed on television or in media print does more damage than good. In short, trying to keep up with the Jones’ will only drag you down. In my opinion, a mature, mountain buck is one of the hardest animals on the planet to consistently kill. On top of that, most hunters often mistake maturity for antler size. If they aren’t shooting a 150-inch buck every year, then many believe they aren’t really successful. I can promise you, a mountain buck that has survived three, even four years is cagier than any midwestern 6-year-old, regardless of what sits atop his head. Running an arrow or bullet through him is something that should be revered — not scorned. The moment you start comparing mountain bucks to those that live in the fertile lands of the Midwest is the moment you start sucking the life out of your hunting experience. Certainly you’ve seen the catchy trend these days that points to the “athlete that hunts.” Although that is a popular slogan, for a mountain buck hunter, being in good physical shape is a vital component that can actually lead to a successful hunt. But how? The reason is simple. Whenever you delve into a mountainous setting to chase whitetails, you’ll find your best success on mature bucks will be in areas that other hunters simply won’t go. That’s because the rough and nasty locations that are unattractive to most hunters is exactly where a good number of mature bucks like to hide. That’s the main reason (other than overall good health) that I try to stay physically fit. Doing so allows me to venture into those spots that receive little hunting pressure. Steep, rocky and thick locations deter hunters and attract deer. I often live by the moto “you’ve gotta hunt ugly” to find success in the mountains. Much like western hunters, big-woods whitetail hunters should consider every ounce they carry on their back. With many treestands adding a considerable amount of weight even before any other gear is considered, it’s really important to choose a model that is not only light, but one that folds flat. This will reduce the chances of it getting caught up on every limb in the woods as you make your way to your hunting area. Also, the closer the weight is to your back (instead of hanging out) the more balanced it is going to feel. Clothing is another gear choice to consider. This can be a tricky situation because not only does your clothing need to be lightweight, it also needs to keep you warm for long periods of inactivity in a treestand. That’s not an easy task to accomplish. There are companies out there that are making clothes that can do both but they aren’t cheap. Just remember, you get what you pay for. Perhaps one of the biggest obstacles for a mountain buck hunter to overcome is the wind. Most of the big timber areas deliver an unpredictable, swirling wind; especially the good spots. In the mountains, the most consistent wind usually blows on the ridge tops. However, due to the easy access of these areas they typically don’t make for very good hunting locations. The best locations are most often found further down the mountain in areas where the wind swirls and does all sorts of crazy things. Because of this, it is paramount that you become obsessed with reducing your odor as much as possible. I don’t believe odor can be completely eliminated, so my goal is to reduce it to the point that a buck will think I am 200 yards away when in reality I am 20 yards away at full draw. I can accomplish this by keeping all clothing washed and in airtight containers until I arrive at my hunt location. I never wear my hunting clothes (or boots) in a vehicle or in my home. I shower daily with scent free soap starting a month before opening day and every day until the season is over. I never dry off on a towel that isn’t sent-free and I wear scent free clothing while driving to my hunting areas. That’s just some of the things I do to reduce odor. It is a lot of work but it is critical to my success. Because there is no A to B transition routes in big timber, the most reliable techniques are those that revolve around the one thing bucks desire the most — a hot doe. This is the one tactic that has brought me the most success. I know that isn’t ground breaking information but the timing of it makes all the difference in the world. Typically, I will try to locate a group of does and then leave them alone until the mature bucks are actually on their feet. However, in years past, I would find the does and then hunt them every chance I had. It was hard not to because if I didn’t that meant I was probably not hunting. Today, I have rut location stands and early season stands. I hunt the early season stands to fill the freezer and then hunt the rut stands in early to mid-November. Moving in and hunting an undisturbed doe group is dynamite during the rut. Also, I typically employ topo maps to locate pinch-points along suspected doe travel routes to intercept cruising bucks. It is a tactic that has worked well for me over the years. Nothing will be more challenging than trying to set your sights on a mature mountain buck. However, nothing will bring you more satisfaction than beating one of the most elusive big game animals in North America. Concentrate on the variables listed here to increase your chances of success.